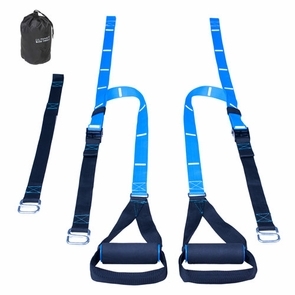 Get professional full body results with the new Bodyweight Resistance suspension trainer system from Ultimate Body Press featuring our exclusive Lay-Flat handles and full color exercise guide. Ultimate Body Press Body Weight Resistance Trainers get healthy results fast with highly metabolic bodyweight training for your upper body and chest, core and even the difficult to target muscles of the lower body - all with infinitely variable resistance provided by your bodyweight. 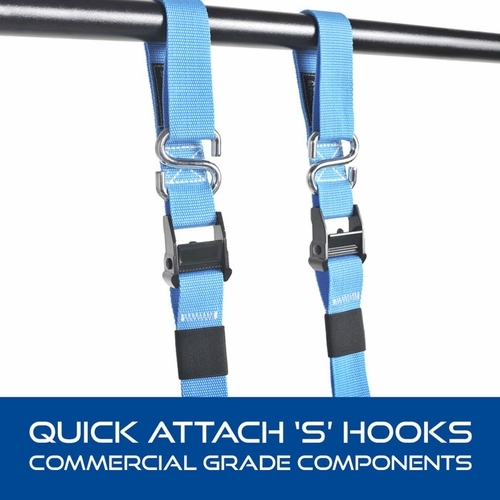 Commercial grade components include two independent suspension straps indexed for fast even adjustments, universal carabiner anchoring strap, heavy duty cam buckles and high strength handles with integrated foot loops. 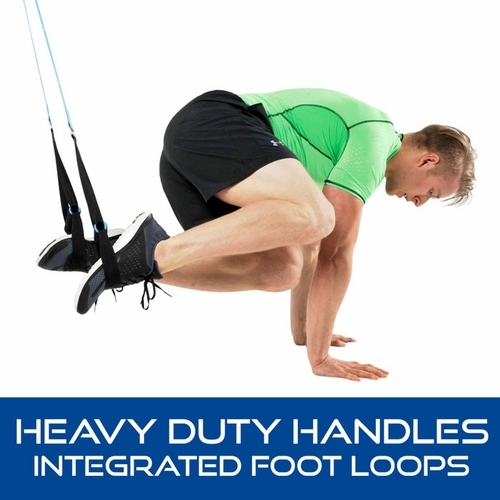 Innovative Lay-Flat Handles and hardware layout follow body contours to prevent contact with buckles for enjoyable workouts that promote optimum form. Anchor using doorways, pull up bars, rafters, beams, outdoor park structures - even tree limbs. 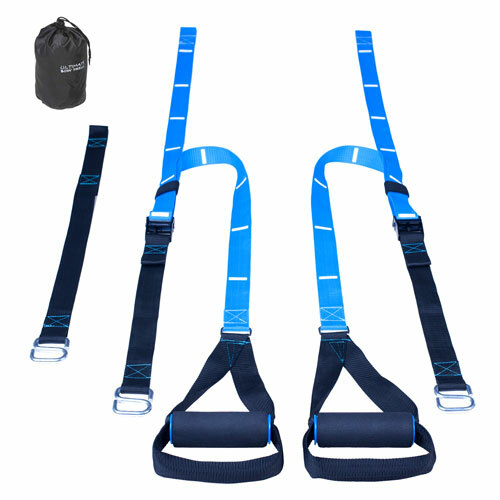 Single point utility strap anchoring lets you workout in any location while independent quick-connect 'S' hook anchoring lets you expand your training with movements both toward and away from the body centerline. 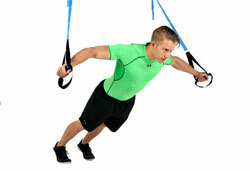 Comprehensive exercise guide includes 26 movements and 3 sample workouts. A complete gym experience in less space, suspension trainers are the ultimate pull up bar accessory and make a great gift for any fitness enthusiast. 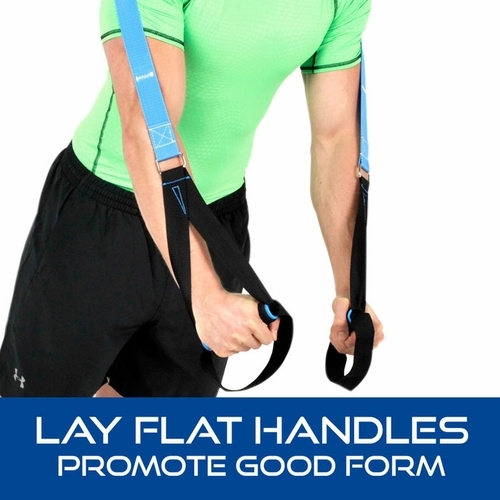 Order your Ultimate Body Press Bodyweight Resistance Trainers today.